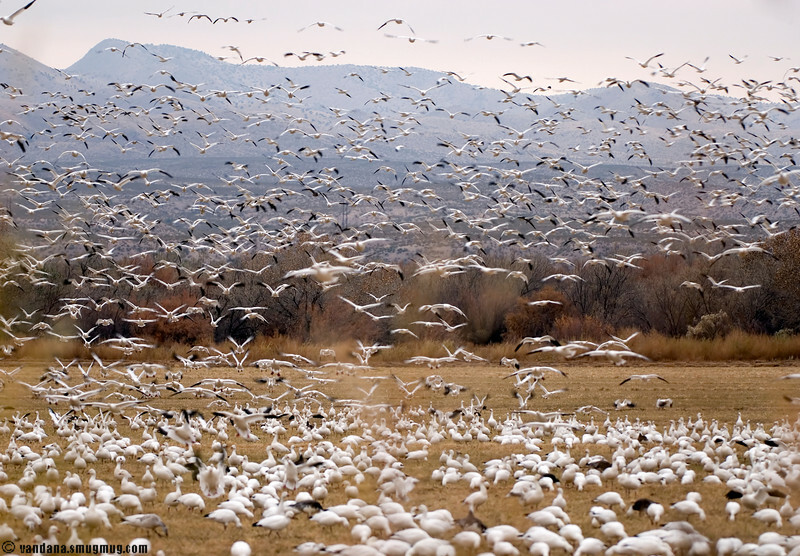 some of the 20,000+ snow geese at Bosque now ! bitterly cold, snow and bad light tho, so hopefully things get better.. Happy Thanksgiving to you too...hope you are feeling better...you are missing some snow here in Clovis...good thing I have my pink computer...too cold to go outside! Wow! This is a really cool picture! Neat shot! Actually a real foul shot! Wow -- that's a LOT of geese! Neat shot! 1,111 -- they're everywhere, they're everywhere. I'll be they're glad they're not turkeys too. that is great! you should have a 'guess the # of birdies' contest.